iOS: If you're like me, you've experienced the sting of an unwanted subscription draining money from your checking account, long after you forgot to cancel a free trial. If you'd like to finally get a handle on all your subscriptions without poring over your bank statements, take a look at Bobby. 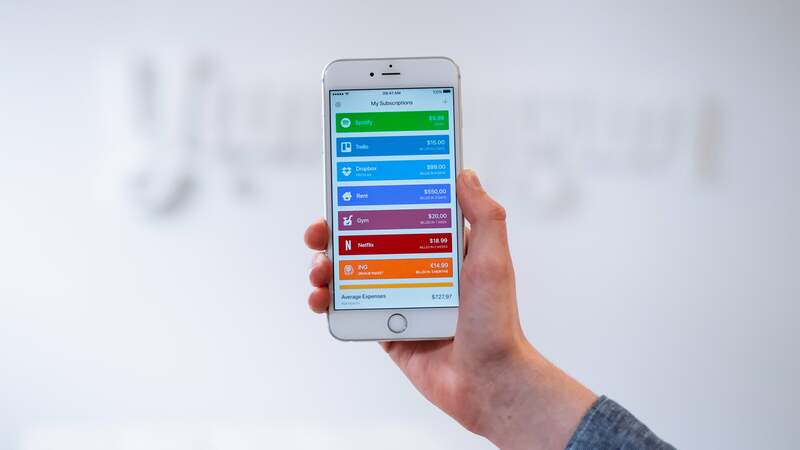 It's an iOS app that lets you track multiple subscriptions to see how much money you're shelling out each month. The only thing it requires is a little leg work to start (and a $US1.99 ($3) in-app purchase for certain options). Before you get started, you'll need to access your subscriptions. You can't link Bobby to services like your bank yet (support is coming) — but the act of manually adding your subscriptions is (for me, anyway) part of Bobby's appeal. I'd rather not provide my bank information to a startup that lacks a track record of properly handling secure data. Take a few minutes, log into each of your subscription services, and verify the average billing cycle and fee before you manually enter them into Bobby. If you're like me, you've probably got a few subscriptions you haven't thought about in quite a while (I'm looking at you, Spotify). Bobby's iOS app interface is simple to use. 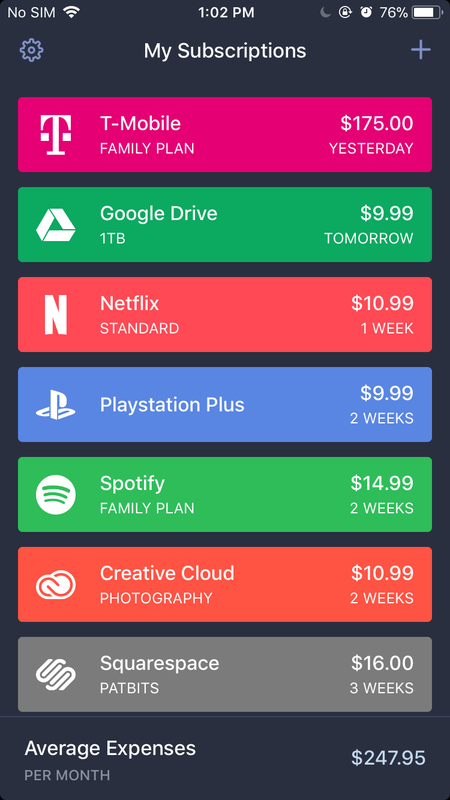 You start with a blank list where you can add up to five subscriptions (an in-app purchase unlocks unlimited subscription functionality). 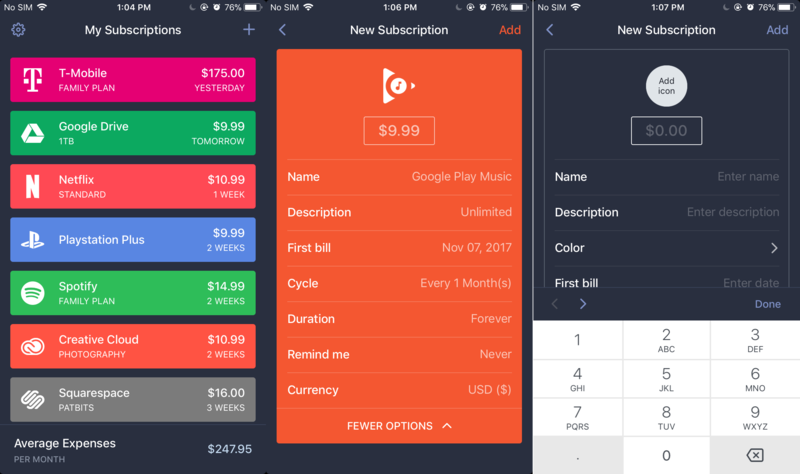 It already includes premade subscription graphics for popular services like Netflix, Slack, Google Drive, Spotify and dozens more, but you can add your own custom subscriptions for bills like rent, gym memberships and other recurring payments. You can customise your subscription by adding a description, adjusting the recurring billing cycle by the day, week, month, or year, and set a duration for a subscription if it's a temporary one. You can enable reminders to make sure you're always aware of when your next automatic payment is occurring. Bobby also supports multiple currencies, just in case you're paying for some service with all those Euros you've got stashed away somewhere. There are in-app purchases available for advanced features like unlimited subscriptions, iCloud Sync and Touch ID support, or a different visual style and the option to choose a modified home screen icon. You can buy them all at once and save 35 per cent, or $US1.99 ($3) for all three. Bobby isn't perfect — it lacks a proper iPad app; there's no Android version, nor is there a webapp component where you can view your account in a browser. That being said, its iCloud Sync support means you won't lose your data, even if you lose or upgrade your iPhone. After inputting all my subscriptions, I had to take a moment to regain my composure. $US250 ($319) a month?! That's a lot of money down the drain, especially in the music department. Having my subscriptions all in one place is more than convenient — it's eye-opening.